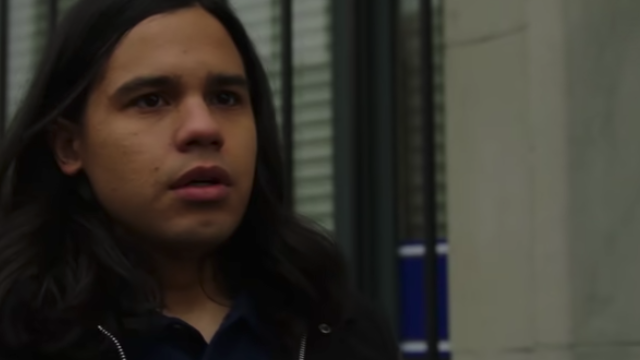 Last week on The Flash, Team Flash was able to convince Cicada, a.k.a. Orlin Dwyer to take the Meta cure. However, upon successfully administering the cure to Dwyer, a new female version of Cicada showed up to wreck S.T.A.R. Labs, murdered Dr. Ambres and took an recovering Dwyer with her. On this week’s episode of The Flash, the arrival of Cicada 2.0 causes Nora to struggle with telling Team Flash the truth about Thawne. Meanwhile, Sherloque’s investigation comes even closer to uncovering Nora’s secrets, while Ralph inadvertently causes a wrinkle in his friendship with Cisco. The episode starts off with Nora visiting Thawne in the future. She tries to inform him of the new developments, but the only answer that he provides is to tell Barry her secret. A now cured Orlin awakes and quickly learns that Cicada 2.0 is indeed his grown-up niece from the future, Grace. In the newly up and running Cortex, a search for dark matter reveals that something has been stolen from the Starchives. Cisco and Sherloque vibe to the dark matter spot, while Ralph and Iris visit the starchives, simultaneously discovering that Thawne’s time sphere. Through some ingenuity, they deduce that the time sphere is actually the same one, meaning that Cicada 2.0 is from the future. That night, Cicada 2.0 infiltrates CCPD to take a singular file, nearly killing a guard in the process. The next day, Barry and Nora investigate the break-in and Joe traces the file to a Meta attack in 2017 where two people were killed. Barry has Cisco vibe the crime scene, deducing that Grace is indeed the new Cicada and that her parents were the ones who died in the attack. 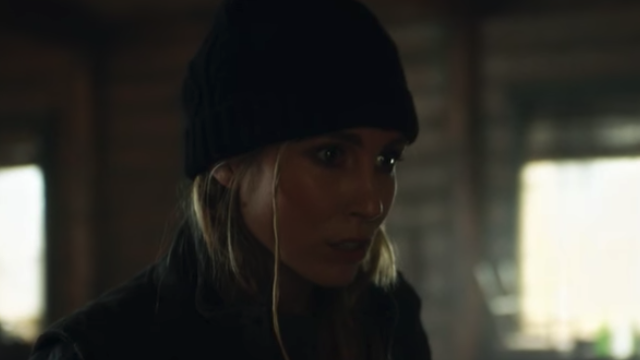 Back at her hideout, Grace tells Orin about what happened to her parents. He questions her motives, but Grace wants to wipe out all Metas, starting with the one responsible for the death of her parents. Joe, Barry and Nora are able to track down a woman named Vickie Bolan and they quickly learn that she’s hiding her powers from her family. It’s revealed that the explosion was an unintentional accident on her part. However, she refuses to leave her daughter’s birthday party, even knowing that that Cicada 2.0 is now after her. While waiting, Nora and Barry have a nice conversation about secrets, before she suspects Grace’s impending arrival. Flash and XS arrive on the scene as “cosplayers,” as does Cicada 2.0. Vickie uses her powers to help save Barry and XS, with the blast inadvertently hitting her daughter. They are able to escape, and Grace vows to find them eventually. Earlier at S.T.A.R. Labs, Sherloque finishes decoding Nora’s journal, but he can’t seem out find anything out of the ordinary at first. Sherloque investigates the plans for the time sphere, when Iris questions his motives. 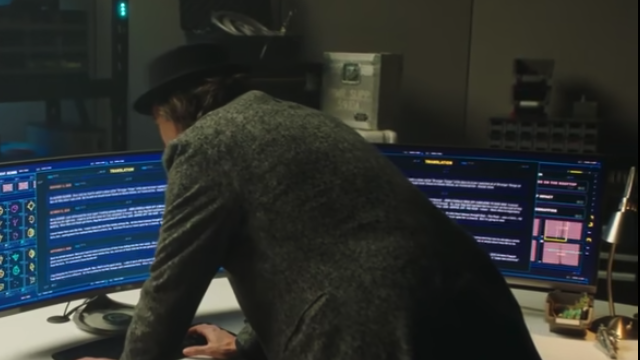 He discovers a clue after examining Thawne’s plans that says, “time is malleable.” Sherloque inspects some of Thawne’s old stuff, discovering a secret compartment with a flash drive in this old wheelchair. Sherloque visits the time vault, watching the video from the device. He learns that some of the handwriting in the diary matches that of Wells, confirming Sherloque’s suspicions that Nora is working with someone else. At Jitters, Cisco goes on a date with Camilla where it’s revealed that they’re now Facebook official. Ralph arrives, asking when she’s gonna meet the rest of Team Flash, however Cisco seems hesitant about that idea. Later, Ralph surprises Cisco with the news that he set up an interview with Camilla for Iris’ paper as a photographer. Cisco is pretty upset about this, but it’s revealed that she’s accepted the work form Iris to shoot an event and he pretends to be happy. Later, Ralph visits Cisco to apologize for his presumptive actions. He reveals that Camilla is unaware of them flash and his powers in particular. He’s afraid that learning this will ruin their fairly normal relationship. Ralph Cautions Cisco about leading a double life, which could eventually hurt their burgeoning relationship. However, Cisco ultimately remains undecided about what to do. At the hospital, they learn that Vickie’s daughter is fine. Her daughter is afraid of her powers, and her husband asks for her to leave. Grace arrives back at her hideout, and Orlin thinks that the death of her parents might have been an accident. She eventually leaves a conflicted Orlin to go after Vickie at the hospital. Naturally, Cicada 2.0 attacks Vickie with the dagger. XS saves her, and Barry confronts Grace out on the street. He offers the cure, but she refuses and is able to pin Barry down. Just as Grace is about to take down the Flash, Orlin intervenes to try and talk her out of it. He argues for her to let the hatred go, but she literally stabs him in the back with the dagger. Back at the cortex, Team Flash realizes that Grace’s head injury allows her to telekinetically manipulate dark matter that is within her proximity. Eventually, Cecile ‘s powers tell her that Nora is holding something back. 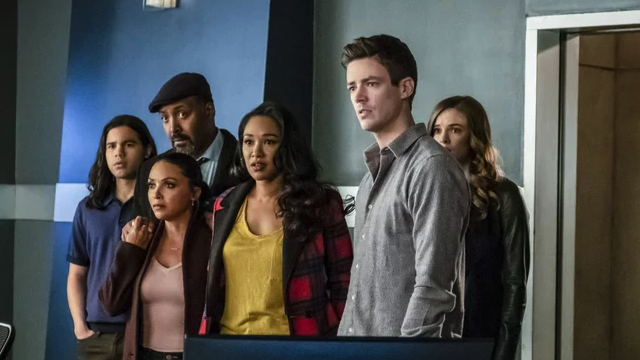 Sherloque emerges to explain to team Flash that Wells has been manipulating their actions from the future. Barry takes Nora to a cell in the pipeline, where we’re left to wonder how Team Flash will handle Nora’s deception. 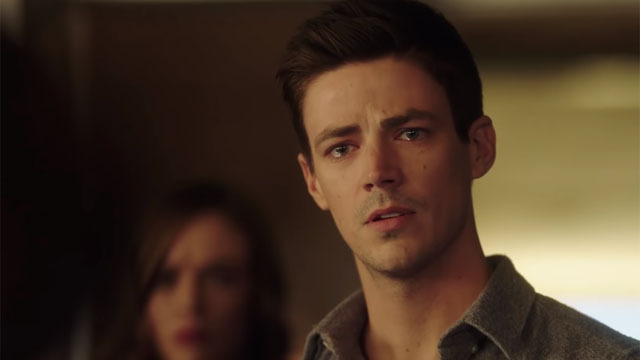 What are your thoughts on this week’s episode of The Flash? Make sure to let us know in the comment section below!